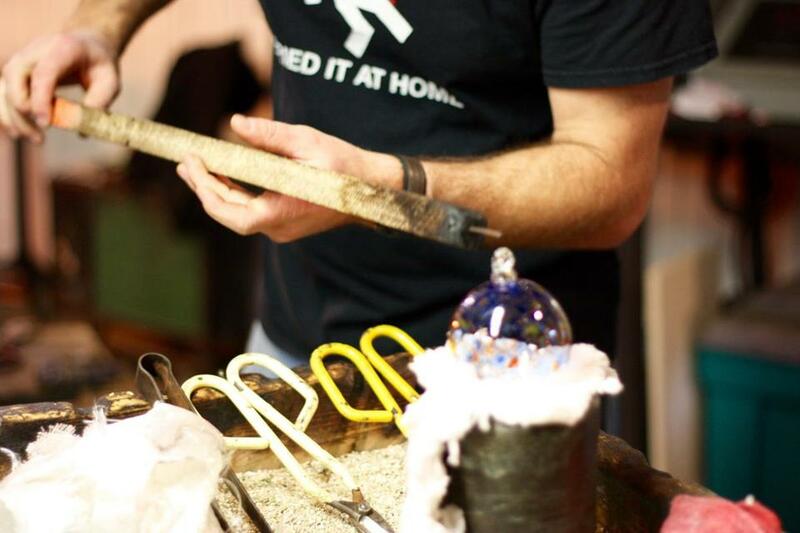 Snow Farm, a nonprofit in Williamsburg offers classes in glassblowing, metalwork, and more. WILLIAMSBURG — “Oooh,” my daughter Birdy said, as the mist fell on us. “This is my third-favorite form of precipitation.” We were sitting by an enormous bonfire, under the stars, while sparks swiveled up into the air like fireflies. If you have ever had, known, or been a teenager, then you might understand the rare loveliness of talking quietly with one, looking into the embers. No pressure. No meaningful eye contact or drilling questions. Just easy being together. We were in the middle of a two-day craft workshop at Snow Farm in Western Massachusetts, and that’s more or less what our entire weekend was like: companionable side-by-side activity, like a cross between sleep-away camp and the parent-child version of parallel play. They fed us simple, delicious meals; they housed us in a perfectly cozy room with plain blankets and elaborate views; and they offered the space, materials, and instruction to do something creative together. Everybody powered off their phones. It was magical. Snow Farm is a nonprofit program with a mission “to provide exceptional studio craft and fine art instruction for people of all ages in an inspiring residential setting.” The setting is, indeed, inspiring: a gorgeous ramble of pond-dotted, maple-rimmed property, where they offer a variety of week- and weekend-long workshops throughout the spring, summer, and fall, as well as a summer arts camp for teens. Birdy and I chose a course in encaustics — a kind of layered wax collage — from the many workshops, all taught by master craftspeople in 10 different studios: glassblowing, ceramics, fiber, metalsmithing and jewelry, woodworking, kiln and stained glass, flameworking, welding and sculpture, painting and drawing, and mixed media. Snow Farm is perhaps most famous for its more extreme arts — welding, glassblowing, and the like — and it’s no wonder. After dinner, Birdy and I curled up on a bench to watch the glassblowers at work in the hip Hades of the furnace-lighted “hot shop” — to watch as glowing blobs of molten glass ballooned into glasses and pitchers on the ends of their rods, like we were at a marshmallow roast in outer space. “I love how dangerous it is,” Birdy whispered to me. “I’m so sick of being protected from everything all the time.” I cringed to imagine the liability insurance, but I knew what she meant. Even our encaustics teacher had warned us that we were likely to be burned by the hot wax. “Every class here has something that causes pain,” she’d said, laughing, and I’d seen Birdy smile. Now some of the glassblowers were outside, feeding the bonfire with broken chairs and enormous stumps. It is not going out on a limb to describe the hot-shop folks as pyromaniacs, and Birdy was in love with them — also with Pinenut, the chihuahua of one of the instructors, asleep in a basket by the furnace. The fact that we were wandering around to watch other artists at work suggests that we were not serious students, given that most folks were back at work in their own studios — and this is true. Happily, Snow Farm caters to all skill levels: the eight women who made up our encaustics class ranged from professional painters and printers to, well, Birdy and me. But it was exciting for us to work with so much talent around us, and to have access to such professional materials: deeply pigmented waxes, tubs of brilliant white gesso, stacks of prepared boards for us to work on, a jar of gold flakes. I loved the smell of the hot wax and the luxurious stretch of uninterrupted hours to work in. I loved the life lessons that poured from our teacher, ostensibly about collage: ideas about the importance of courage and the deep value of making mistakes. “You might make rules for yourself,” she said, “but then things won’t go as planned. You’re going to have to break them.” Birdy had brought photographs of our family with her, and she transferred them to a collage while I watched silently, not wanting to interrupt her art by waxing sentimental. “It’s kind of nice to get a break from kids your own age,” Birdy sighed happily over breakfast, and I knew what she meant, seventh grade being what it is. There was a handful of teenagers there, with a parent, and we enjoyed talking with them. But mostly it was a kind of time out from regular life, in every way. For me, this meant the odd pleasure of being served an honest plateful of food — not having to cook, or even choose, just eating the good soup-and-salad lunches and stir-fry dinner they served. The food is tasty and plentiful, and they cheerfully accommodated Birdy, who is a vegetarian, and a woman down the long table from us, who was gluten-free. Plus, at lunch and dinner, they laid out an extravagantly delicious salad bar, filled with gorgeous greens and pickled cauliflower, with marinated tofu and a chickpea salad and half a dozen wonderful homemade dressings. There were warm cookies and hot tea and good coffee, and after dinner, a tart and buttery apple crumble made from local fruit. Breakfast included a filling, cheesy frittata and — Birdy’s favorite — an oatmeal and granola bar, with cut-up fruit and nuts, raisins and brown sugar to doctor your bowl with. The lodgings were similarly perfect: two little wooden beds, some wooden pegs and shelves for your things, and a lamp — everything simultaneously plain and stylish, like a cross between Heidi and IKEA. We headed back to our room after the bonfire burned low to play a few rounds of Boggle, use the clean bathroom down the corridor (the smell of other people’s soap and toothpaste reminded me of camp), and fall asleep two feet apart, lulled by the rain drumming on the steel roof. Snow Farm doesn’t offer this type of weekend workshop during the winter, but the 2016 catalog is out, so you can register now for the spring. Or better yet: book a class and give it to your teenager as a holiday gift. For one thing, it’s perfect for last-minute gifting, since you can register online, and a printout is easy to wrap. For another, research suggests that experiences bring more — and more lasting — happiness than material things do (your child’s collection of unloved possessions might speak to this). And lastly? Teenagers are impossible to buy presents for, inhabiting, as they do, that barren wasteland between LEGO and single-malt scotch. 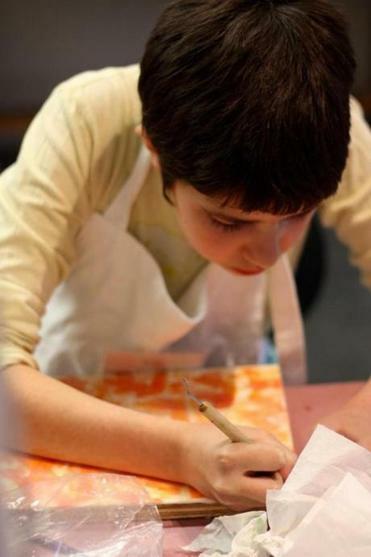 A weekend arts class is just the thing: kind of grown-uppy, definitely unexpected, an occasion for bonding, and something to look forward to. “I wish we could live here,” is what Birdy actually said, sighing as we left. It was her favorite thing all fall, and one of her favorite things ever. You know, after snow, thunderstorms, and mist. 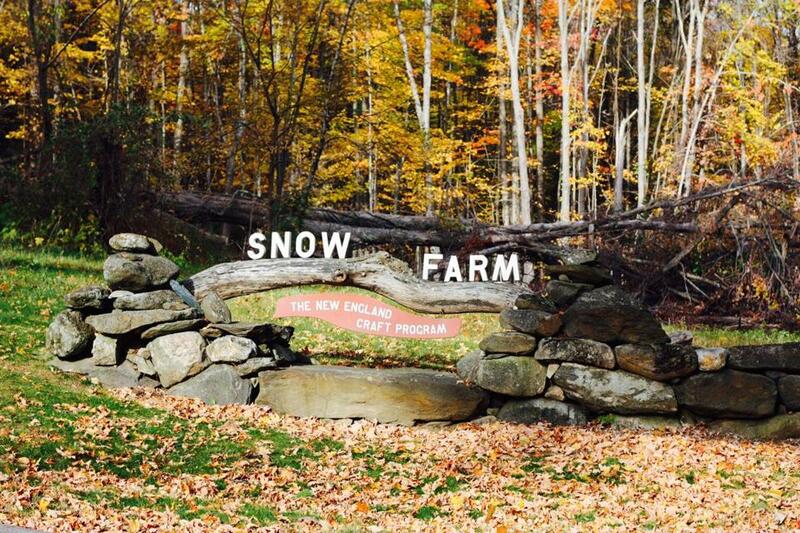 SNOW FARM: THE NEW ENGLAND CRAFT PROGRAM Two-day workshops April to October, starting at $361 per person (age 13 and up), all-inclusive. Winter workshops are available without lodging (in-town options include hotels and B&Bs; Williamsburg is about 2 hours west of Boston). For more information, visit www.snowfarm.org. Catherine Newman can be reached at crnewman@amherst.edu.